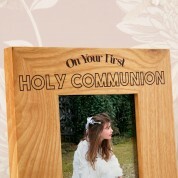 A brilliant keepsake with a personal touch for a child celebrating their First Holy Communion. 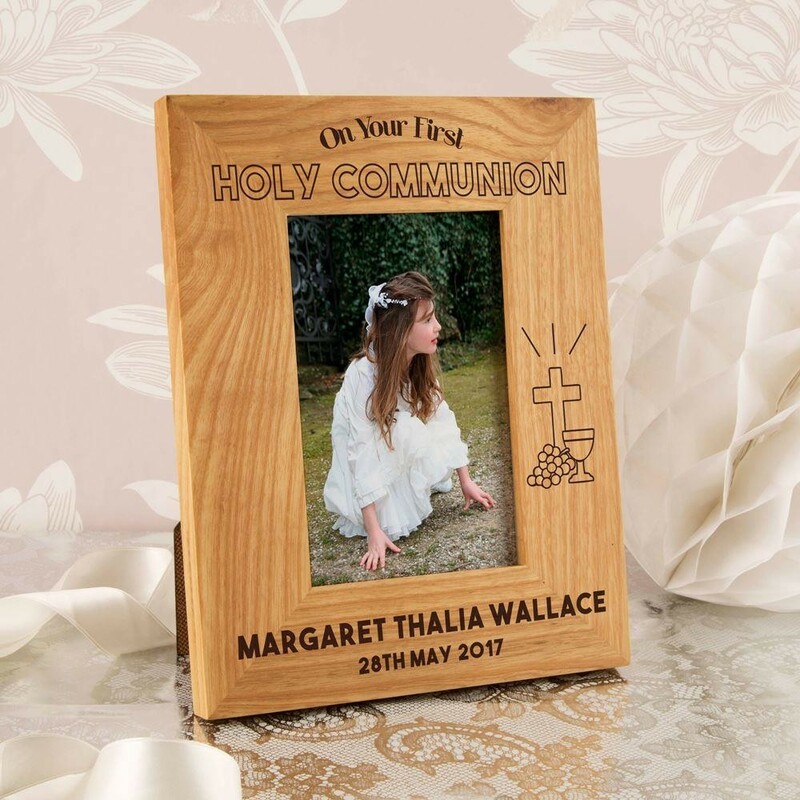 This solid oak frame is laser engraved with “On your First Holy Communion”. It features the child's full name, along with the date of occasion. It is made complete with a small design featuring a Eucharist, a loaf of bread and a cross. Every frame is unique because of the natural grain of the wood. We think this is what makes it truly a one of a kind gift - they wont have anything quite like it. The chunky portrait frame holds a 6 x 4 inch photo.